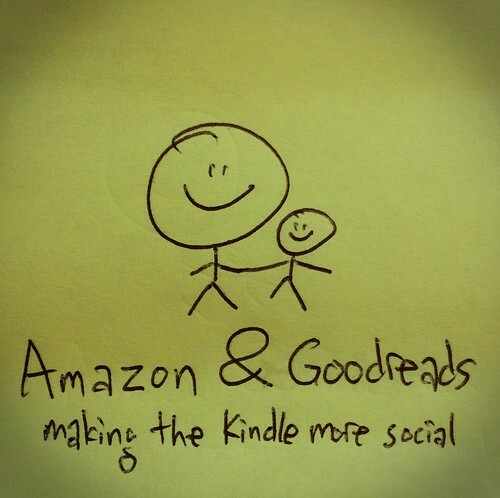 Amazon buys the popular social book reading website Goodreads. Is that good or bad news for Goodreads? Book exchange system through Goodreads. That would be the best-case option for me. I would love to see what other words, sentences and paragraphs people mark up and highlight. Thanks for the insight. I hadn’t thought about the flickr/Yahoo example, but tor analysis is true. I don’t want them to focus on integrating the service if it affects the viability of goodreads as a platform. I want to see the social network thrive AND get the additional services of the amazon ecosystem. Thanks! It always seems so peculiar when a large company acquires a service. There’s gotta be a book that gives analysis about the history of such acquisitions. And not so much one company acquiring another company (like Tribune buying the LA Times Mirror), but when Facebook buys Instagram, Yahoo buying Flickr. I love reading the inside scoop with Yahoo/Flickr. And the inside scoop with Google and Google Reader (even though Google Reader was developed natively in-house). But all the politics involved in how a product either succeeds or is prevented from succeeding. At least NBC paid “only” several million dollars for Everyblock. In 2007 Google paid $100 million for Feedburner. You thought $100 million dollars would ensure Feedburner would stay around? Nope. Five years later Google is slowly shutting down Feedburner.